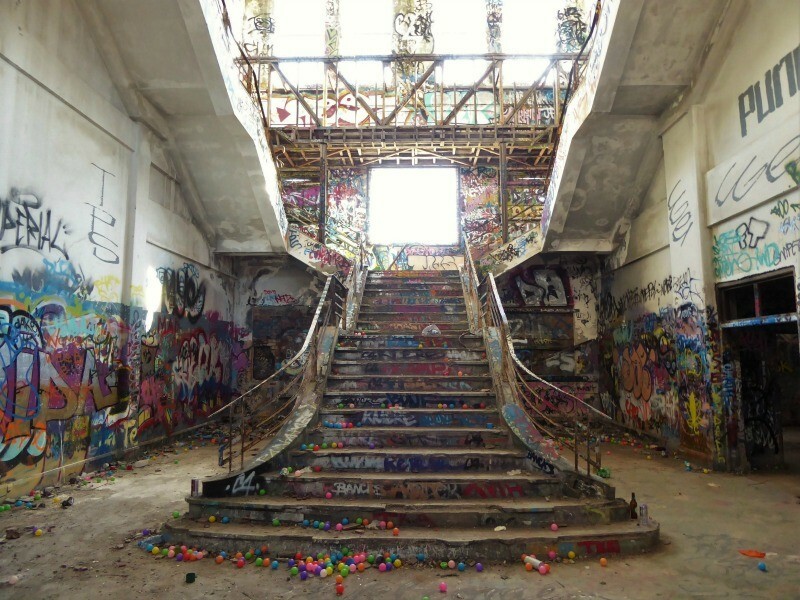 Street art crosses cultures, language, and continental barriers. I love all of it, although I tend to gravitate towards the brighter, happier images. 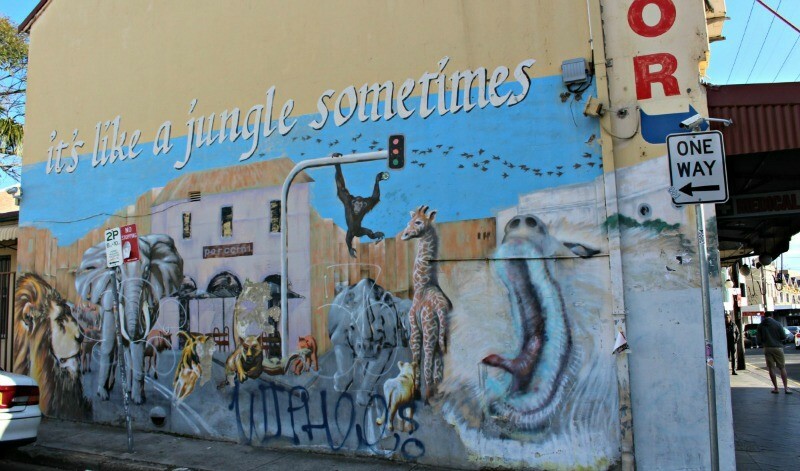 Today I share a collection of interesting New Zealand and Australia street art. It is part of a travel blogger collaborative series highlighting street art from around the world. Enjoy this collection . 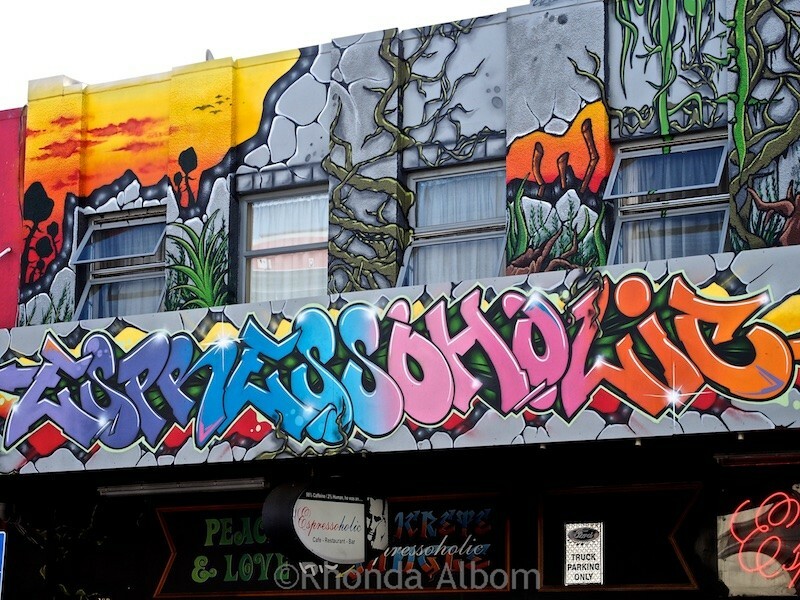 . .
Colourful graffiti art is so prevalent in Wellington, it is sometimes used for retail signage. I took this shot on a weekend getaway. See more at: Wellington Photos: 20 Reasons It’s My Favorite NZ Getaway. Street art scene in Melbourne is huge. All the art that people see one day may change very quickly and be covered with another masterpiece the very next day. Frequent walks around the are CBD recommended. Photo contributed by Aga Kozmic of A Matter of Taste. 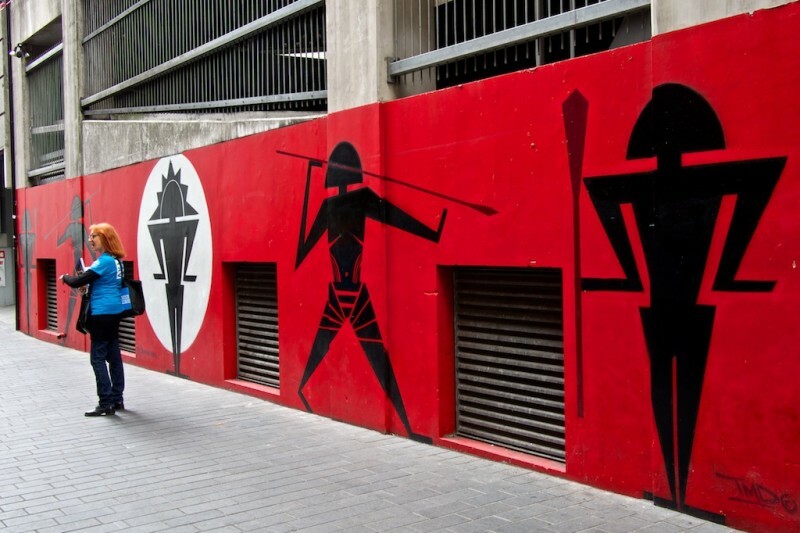 See more at: Melbourne CBD Street Art Walk. 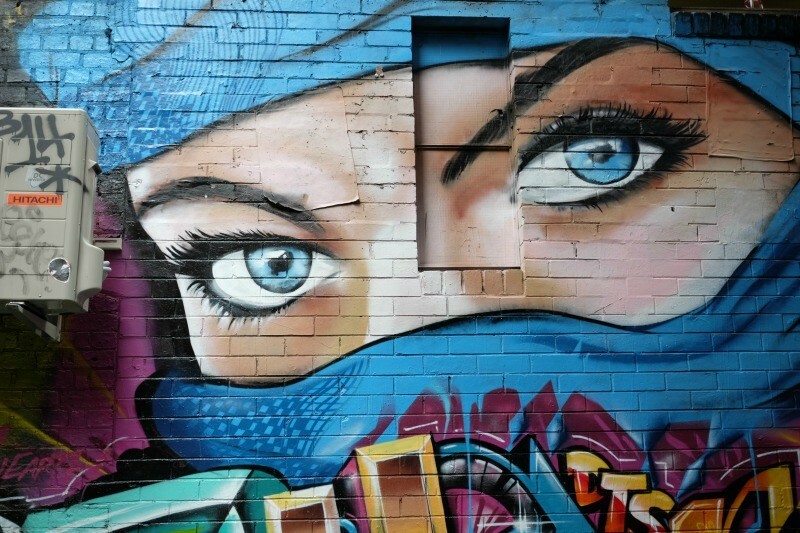 Melbourne is home to a vibrant street art culture. 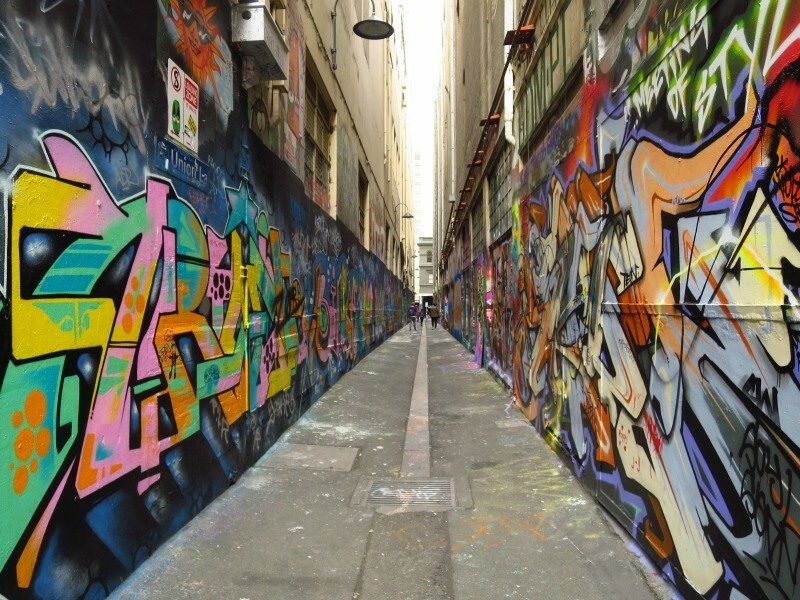 Hidden laneways such as Hosier, Rutledge and Union Lane showcase the talents of these incredible artists. Photo contributed by Kerri McConnel of Beer and Croissants. A fun example of Australia street art. Photo contributed by Paula McInerney of Contented Traveller. See more at: Explore the City of Cairns Itself. This work by Colin Bebe has been around for quite a few years. It depicts the large intersection at King Street and Enmore Road. This Tongan-influenced piece by Benjamin Work is entitled: Tu’i ‘o e ngaahi Tu’i. I took this during a street art tour in the city. 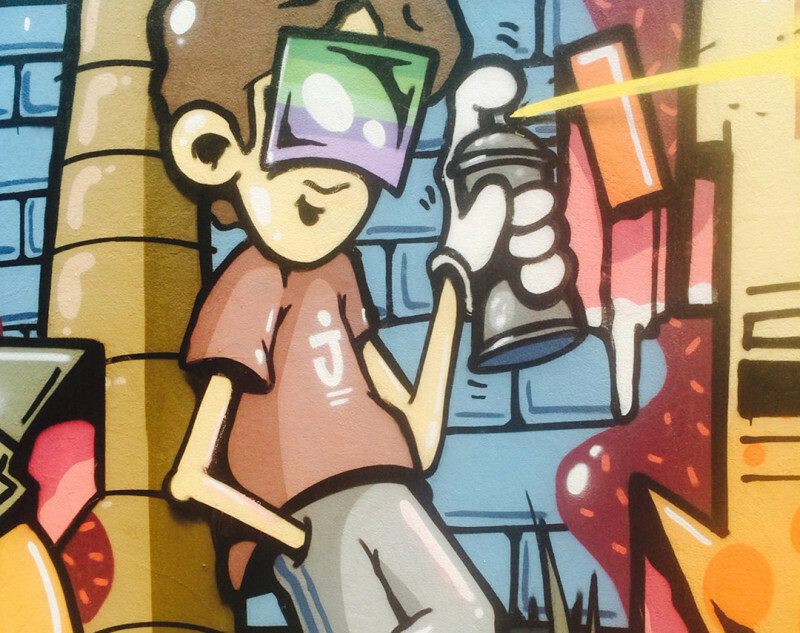 See more at: A Virtual Tour of Central Auckland Street Art. This Fremantle Power Station shot is taken in the abandoned and ruined Fremantle Power Station. There is a new working station right next to it but the old one seems to be a place for young and old street artists alike to go in and practice their skills. Although the new station is under guard, they seem to turn a blind eye to us entering through the broken fence and climbing through an unbarred window into the abandoned aerosol atmosphere of a very characterful old building. This staircase is a famous picture of this building. Photo contributed by Mike Roberson of A Wandering Fifer. 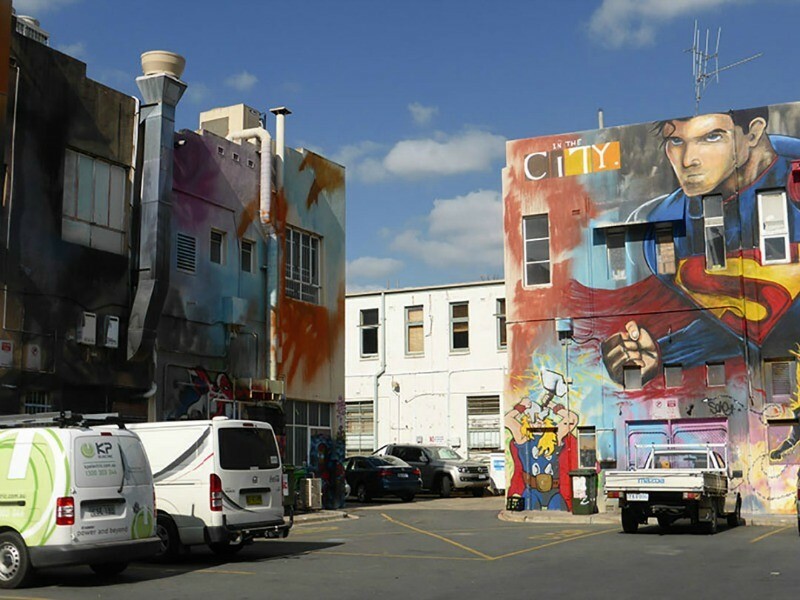 One of many superhero street art examples on Tocumwal Lane in Canberra. Photo contributed by Paula McInerney of Contented Traveller. See more at: Superhero’s at Tocumwal Lane, Canberra. Taken just off of Boundary Street this is a colourful and very beautiful piece of inspirational art. You can be anything you want. 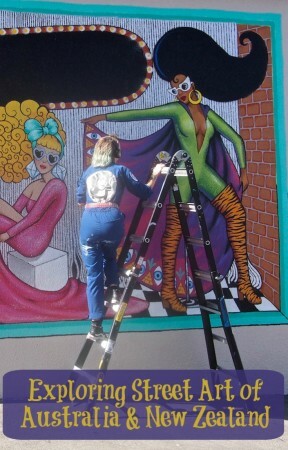 It was a nice treat to see an in progress work by Artist Xoe Hall. This one is just off of Karangahape Road. 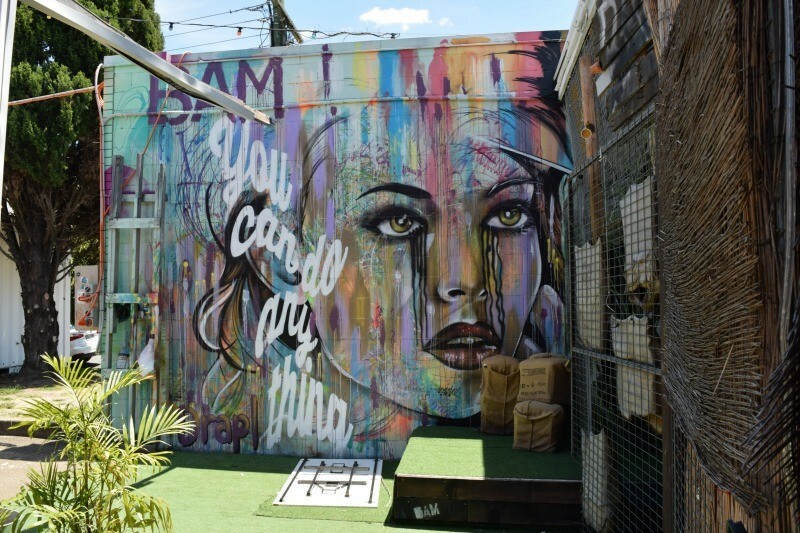 Are you a fan of New Zealand and Australia street art? Do you have a favorite artwork or artist? This post is linked at Photo Friday, Sunday’s in My City at the Unknown Mami, and Monday Escapes.